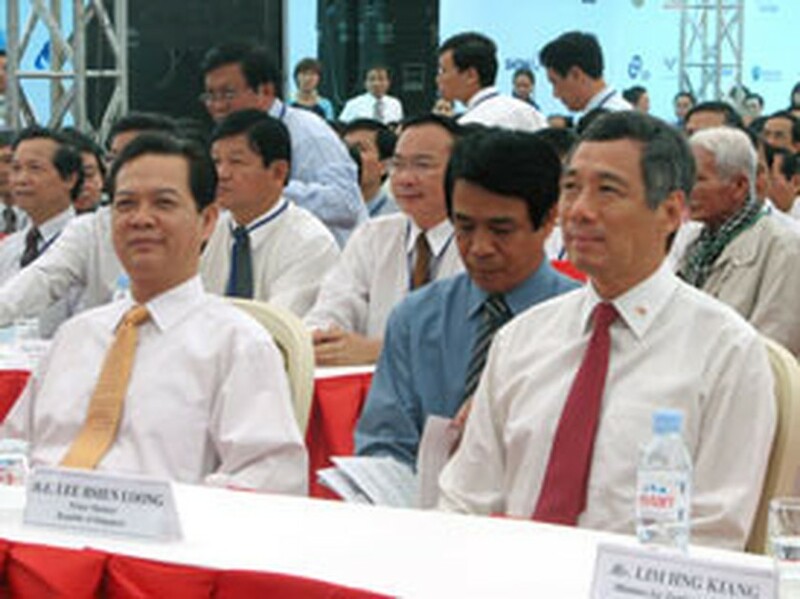 Singapore’s Prime Minister, Lee Hsien Loong, arrived in Ho Chi Minh City yesterday for two days of talks and a visit to the Viet Nam-Singapore Industrial Park in Binh Duong Province. 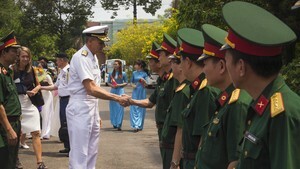 His trip is seen as expressing the comprehensive cooperation between Singapore and Viet Nam and concretizing their Connectivity Agreement. PM Lee expressed his pleasure at the Vietnam-Singapore Industrial Park’s success in the ten years since opening and witnessed the official start of the park’s second-phase expansion in the company of PM Dung. According to a meeting between the two countries’ Planning and Investment Ministries, Viet Nam and Singapore have many advantageous conditions for developing six sectors under the Framework Agreement between the two countries, especially infrastructure, power and shipping, where they could boost cooperation. Singapore is planning to build infrastructure in Ho Chi Minh City, namely a multipurpose seaport with logistics technology including marine port services to assist exports. Viet Nam’s economy is growing fast so the demand for infrastructure is also rising strongly. A multipurpose seaport could boost the process of development and integration into the region and the world. Today, the two prime ministers will unveil a tenth-anniversary plaque at the Vietnam-Singapore Industrial Park, usher in stage two of the park’s development, and present a few investment licenses.